Scan-Xpress offers the service of 3D measurement using market leading GOM ATOS sensors for high quality & precise 3D scan data. For over 20 years we have provided optical measurement services to a whole range of industries and manufacturing processes for the purpose of quality control, reverse engineering and product design. 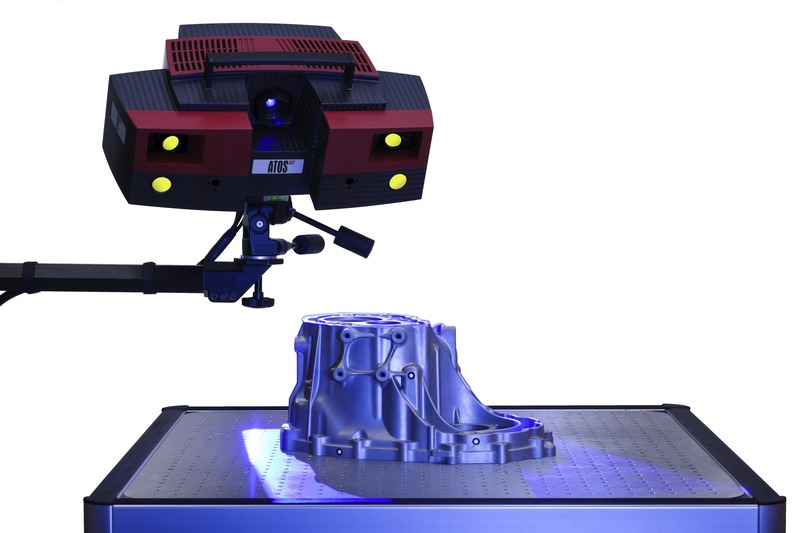 Given the need to speed up manufacturing processes, 3D optical scanning gives the benefit of full digital capture of component surfaces in a short period of time, as well as the versatility of using a mobile measurement system. 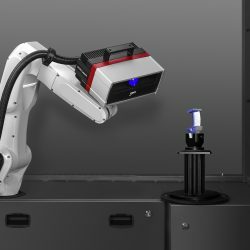 Object Preparation – Reference point dots are stuck onto the object to be scanned or placed on a fixture to ensure meshing between individual scans. Non-reflective coating is applied on parts with shiny surfaces to prevent noisy data capture. 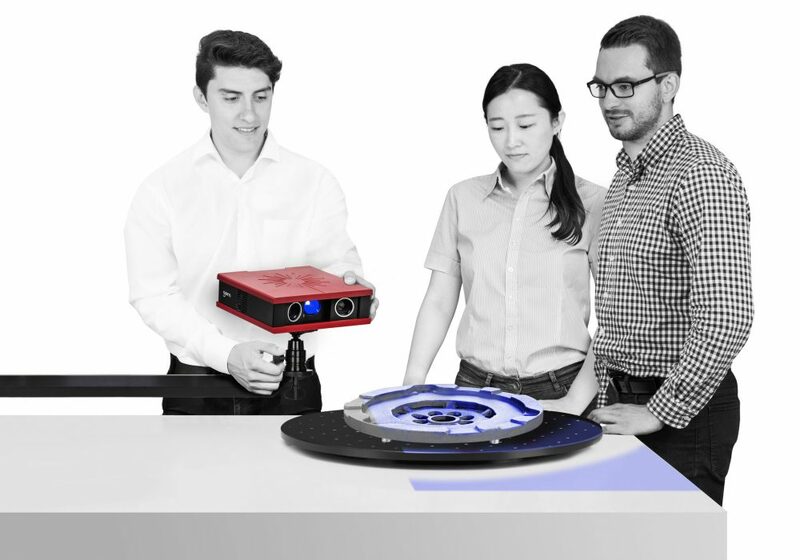 3D Scanning – A series of scans are conducted revolving around the object until the relevant data is captured. All that is required is a stable, non-moving object with enough surrounding space for the scanning system to move around. Scan Data Processing – The software generates a high quality 3D mesh from the scans in the measurement series. This mesh can be inspected inside GOM Inspect software for quality control purposes, or exported for other applications such as reverse engineering & 3D printing. Our 3D measurement technology caters for a wide range of part sizes – from small ear implants to full helicopter scans. In order to prevent high transform deviations in larger objects, photogrammetry by TRITOP measurements may also be incorporated into the process to map the part out in 3D space. What can you do with 3D scan data? What is the accuracy of the scans? The accuracy of the final mesh depends on the object size. For small objects (within a 200mm measurement volume) you can expect an accuracy of about 10-20 micron, where as larger objects (around 1000mm measurement volume) the deviation would fall around 0.5-0.6mm. What format is the scan data deliverable? The standard format of the scan data is STL. Meshes can also be exported as G3D, POL, PLY and JT-Open. Can you measure parts without surface spray or reference points? Parts can be measured without reference points if the geometry has enough complexity for the software to align the scans. Although surface spray is necessary for shiny parts, a scanning project can be done without it at the expense of quality data capture. 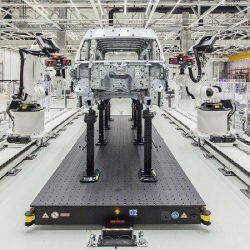 Can you measure parts on-site? Yes, we offer a fully mobile service across the Australian & New Zealand region. Parts can also be sent to our main office located in Northcote for 3D measurement services. 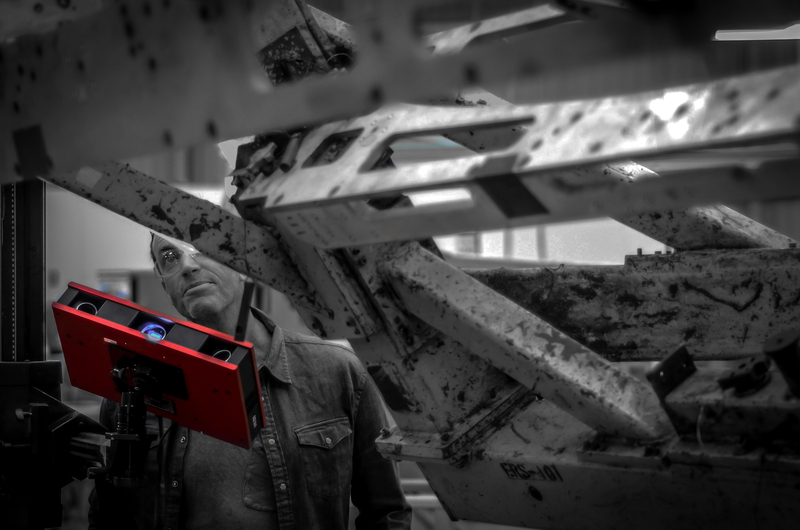 How long do 3D scanning projects take? This lead time for a service job varies depending on object preparation required and geometric complexity, as well as amount of parts you need to be scanned. Depending on current service work workload, a working deliverable can be created within a day.